The Air Force’s new F-22 Raptor is known for being super complicated and super expensive. That’s probably why the Air Force called up NASA for help last week when it heard that Hurricane Hermine was headed towards Virginia, where thirteen of its F-22s were hanging out at Langley Air Force Base. Luckily for the planes at Langley, the NASA Langley Research Center next door just happened to have a hangar rated for protection from a Category 2 hurricane with room to spare. 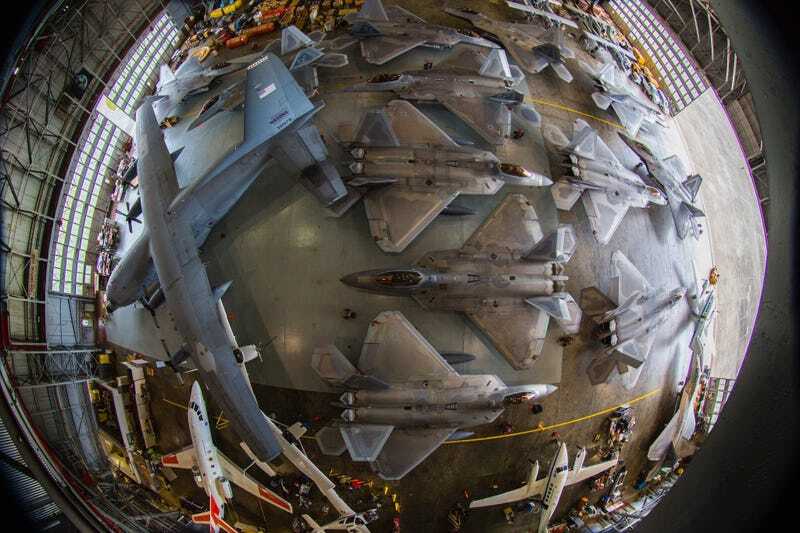 Somehow the two parties managed to squeeze all 22 collective aircraft into the same hangar. I guess they are NASA, after all. By the time Hermine arrived it was only rated as a Tropical Storm, but it’s best to plan for the worst! WIRED speculates that the thirteen F-22s cost somewhere near $1.8 billion dollars, which it claims is just about ten percent of NASA’s annual budget.